Being beautiful, or lacking beauty, is not your mistake, but an impact of your own karma! You are born in this earth plane, with a specific skin tone, facial features, and proclivity for weight. Now, your question may be, "Is beauty then unattainable, but for a few chosen magazine models and actors"
AstroVed says "NO"; there are two beauty secrets to help you. 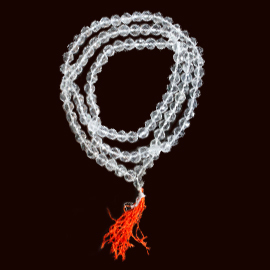 Firstly, a new born is pure and fresh, carrying the spark of divine rays. Even with partly developed features, the infant is beautiful, due to the divine light that surrounds him/her. As you grow old, your karmas become active, and you develop wrinkles, frowns, big bellies, etc. You can easily figure out the beauty, when a person is in serenity and also the ugliness when they are in a mess. There is a great transformation from beauty to ugliness. Worshipping the Goddess of beauty; Parvathi, will help you retrieve the divine beauty you had in your childhood, and more so. The Goddess will bless you with her beauty; the more you call upon her, and worship her. 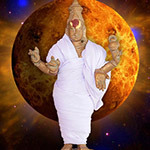 AstroVed has now developed a program, whereby you can perform poojas, abhishekam and Homas/fire rituals on the most auspicious days, to invoke her blessings! Secondly, beauty is karmic; hence it is under the control of planets. If you have a long crooked nose, there is a reason; a planet, behind it. If you appease that planet, you will then be able to go for a plastic surgery. Otherwise, your karma will prevent you from changing the appearance of your nose, even if you wish to! The same holds true for weight and other blemishes too. It is important to find out, which planet is causing the feature, you don't like. Our beauty professional astrologer will examine your chart, and identify these planets for you. Parvati is a Goddess of Supreme Beauty. Pray to Parvati to enhance your beauty by performing this Fire Lab, which is a spiritual technology for improving your physique and luster. Instant Insight is a Prasna (Question) or Horary Astrology based on an ancient and unique branch of Vedic Astrology. 'Hora' loosely means 'the hour'. It is also known as 'Prasna Shastra', meaning "Question Ancient Wisdom" as it involves a person asking a specific question and examining the current location of the all planets in the sky. Using the current planetary position, an answer is revealed. Your birth chart is not used. Saraswati is the Goddess of learning. She is an embodiment of knowledge, intelligence, and wisdom. 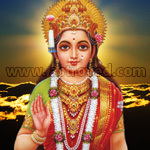 She is the divine consort of Brahma, the God of creation and is counted as one among the three supreme Goddesses, the other 2 being Lakshmi and Parvati. 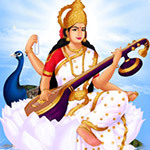 Saraswati is regarded as the Goddess for all kinds of arts and sciences. There is a popular phrase that states that the “Men are from Mars and the Women are from Venus”. Women are the emerging power now and in the centuries to come. Venus governs the “She” gender; whereas the Mars rules men. Today, women's economic and social participation is considered a standard requirement for a nation's healthy democratic development.